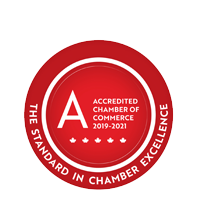 Green Mail - March 19, 2019 - Business Directory - St. Thomas & District Chamber of Commerce - ON, ON ? We're over halfway through March and the weather is looking nicer every day. But the weather is even nicer in Morocco! Don't miss our FREE Info Session for our Treasures of Morocco trip this fall. We're also expecting a fantastic day of golf on May 30, but there's only room for one more foursome!! Will it be you? And we're down to the last 3 days to nominate businesses and organizations for the new Impact Awards. It's a quick and simple form. Send us your nominations today!